“Education is not received. 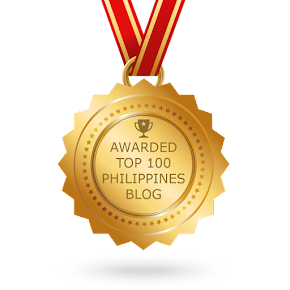 It is achieved.” - Unknown. Graduation day is not just an event because it is an inspiring achievement, milestone, and new beginning. That being said, are you one of the parents who are struggling to find the perfect gift for the graduate in your life? Many kids dream of being given a fat check, a laptop, a new phone, or even a new car when they graduate from high school or college. And it's every mom's dream to give the best Graduation gift for her son or daughter. But not all moms can afford to buy an expensive gift. Like for instance, Yaya Divine, my daughter's yaya, who only wants to give the best gift for her daughter. I even caught her crying and when I asked her why, she said her daughter was just a few points short of becoming the salutatorian. 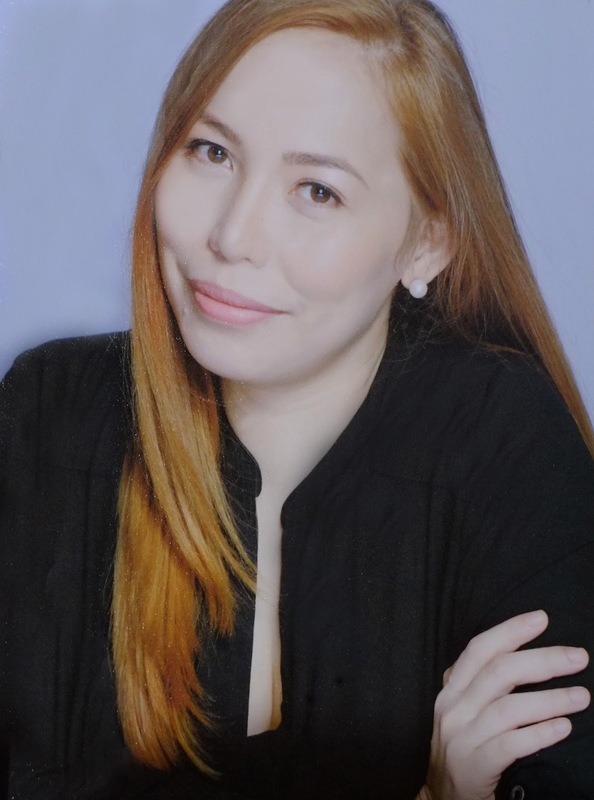 The teacher's reason was because she wasn't able to attend meetings or any of her daughter's extra curricular activities. That wasn't fair though, because as much as she would like to be physically present, she had to work for her family. So I thought of giving her something special to cheer her up. The best gift she could possibly ever give to her high school graduate. As a mom, we both share the same sentiments. Graduating from preschool may not be quite on par with high school and college, but for my little one who's finishing up in her first classroom, it's an occasion worth celebrating. 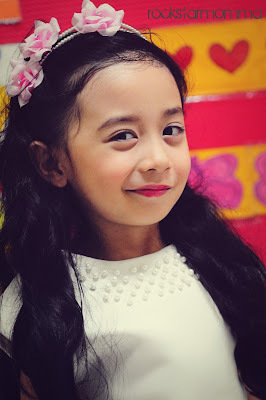 During my daughter's Moving Up Day, I didn't expect to have small tears streaming down my face at the very idea that my baby girl is moving up from preschool, but here I am.. and here she is. Still wondering, how did she get so big? 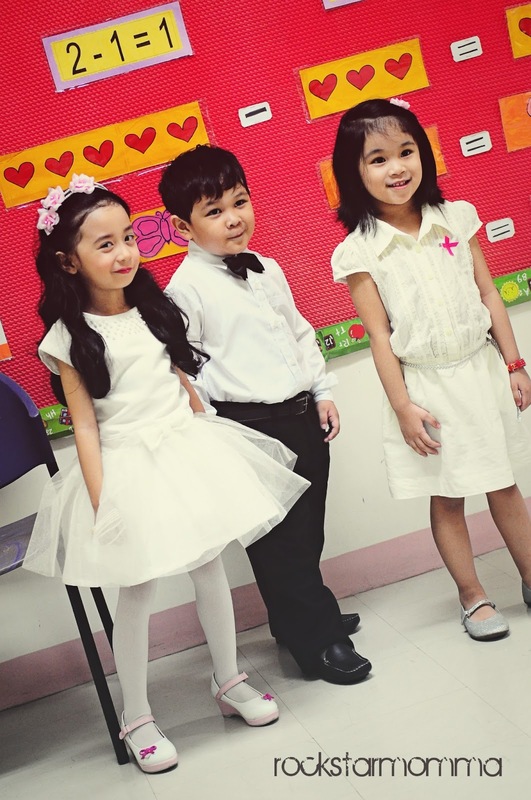 But despite the unexpected sniffles and "aww my baby's so big already" feelings, I'm every inch the proud mama. Also, I was so happy to find the perfect Graduation gift for her and for Yaya Divine's daughter. Here it is... a beautiful edible arrangement from Fruits in Bloom. I've always been a huge fan of Fruits in Bloom's amazing edible arrangements.So I know exactly what to get for someone as pretty and bright as the new graduates. Check out my previous blog posts and this wonderful fruit arrangement from Fruits in Bloom on my daughter's party last month. And guess what? The new graduate received this wonderful gift yesterday on her Graduation Day and she loved it to bits! She said the arrangement itself was adorable and delicious. It was her first time to see one so she was so amazed. The chocolate used seemed like a thick ganache, so that it doesn't completely shatter when you take a bite. Also, she said they were some of the tastiest fruits she's ever had. The only thing that she was worried about was that she was afraid to eat and ruin the arrangement because it was so beautiful. But when she tasted the fresh, chocolate-dipped fruits, she couldn't stop herself from eating them. 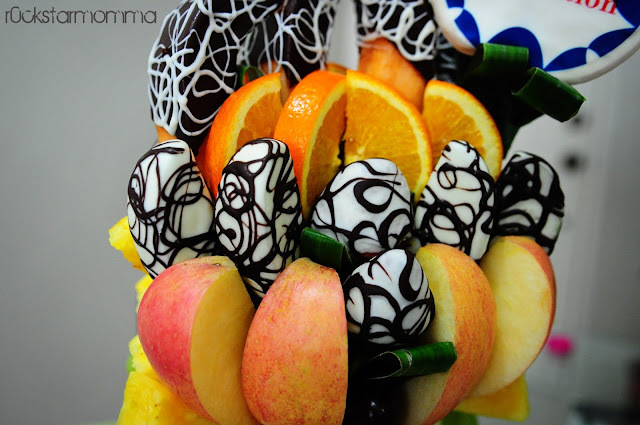 This lavish edible arrangement consisted of different kinds of fruits dipped in white and dark chocolate, is truly amazing. It was too cute to even open out of the box. I just wanted to preserve it as long as I could. The fruit was deliciously dipped in quality dark and white chocolate and beautifully presented on a super cute ceramic keepsake. Now that’s food for thought! 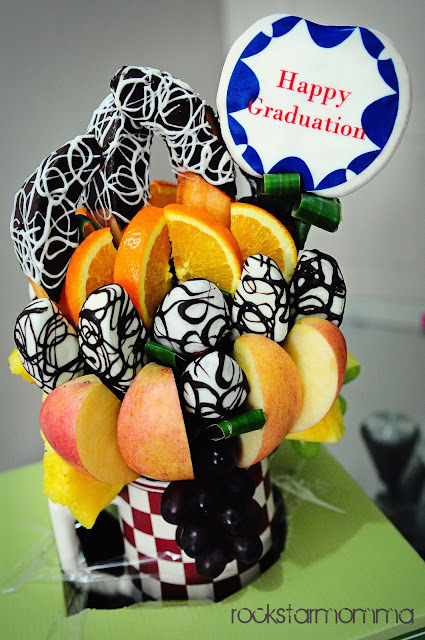 An edible arrangement is such a clever gift to celebrate something great, and such a cute spin-off of the traditional flower bouquet and other common Graduation gifts. 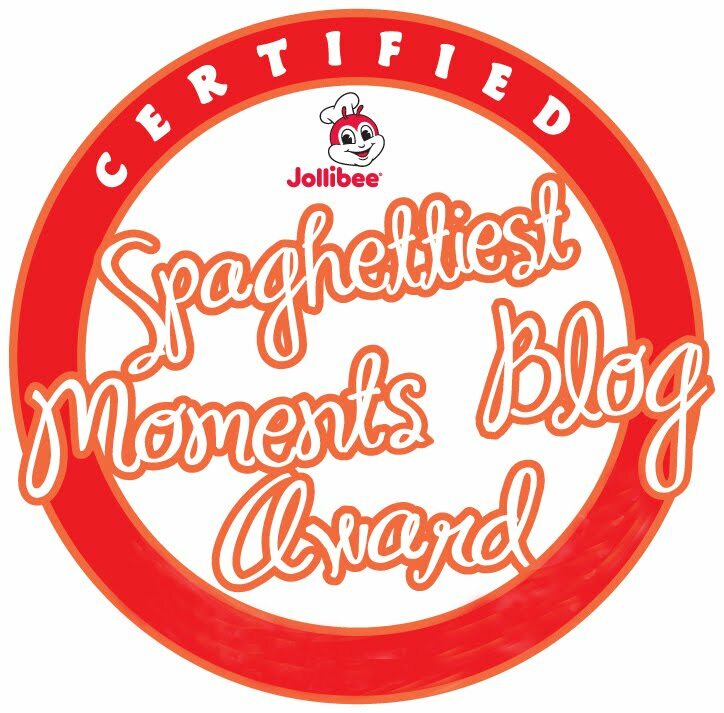 A delectable alternative to saying "Congratulations" for a job well done. I'm pretty sure whoever receives it will surely be delighted. 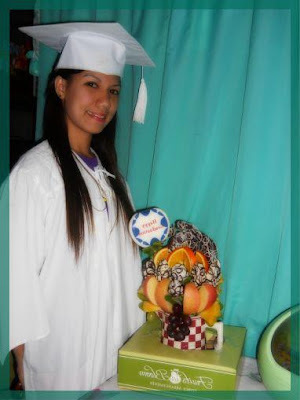 Make a new graduate feel special with this yummy, fresh, healthy, sweet, and unique Graduation gift. 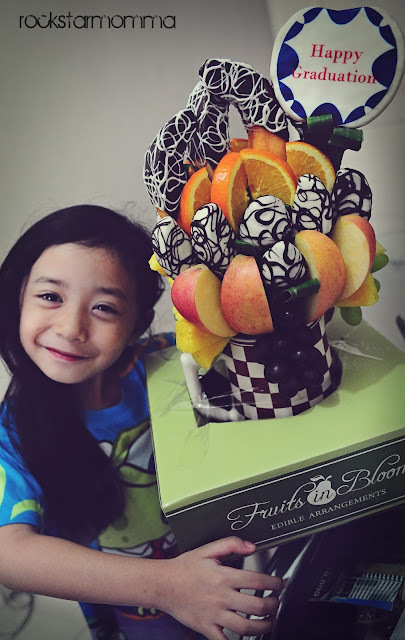 When you care enough to send the very best, give her an edible arrangement from Fruits in Bloom. Hats off to the graduates of 2013! What's the most thoughtful Graduation gift you've ever given or received? Do share in the comments below. 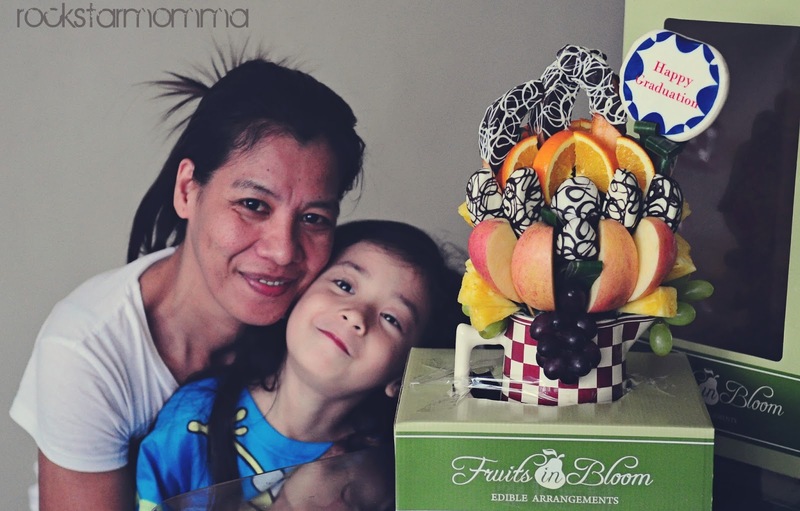 Fruits in Bloom is located on the ground floor of the Frabelle Building, 109 Rada St., Legazpi Village, Makati, tel. no. 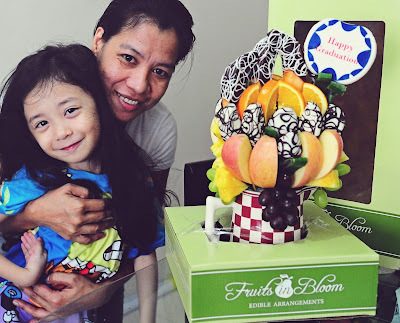 812-0380, mobile 0915-326-9136 or visit www.fruitsinbloom.com.ph. Check out their Facebook fan page here. 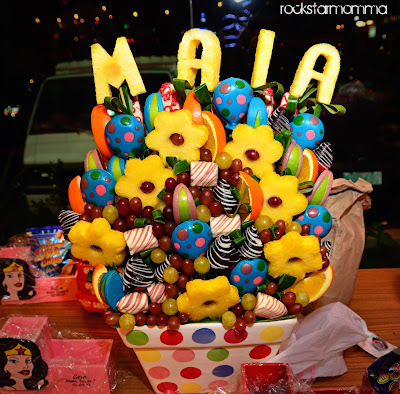 nice gift idea..so creative...congrats Maia!